Stenabolic, also referred to as SR9009, is not a Selective Androgen Receptor Modulator – SARM, even though it’s always promoted as one. It’s a Rev-erba or synthetic drug developed basically for a particular purpose – to study the circadian rhythm of the body. In an anaimal research, this compound helps reduce anxiety, boost endurance, lose weight, decreases cholesterol level and inflammation. These are also the beneficial effects of regular workouts in human, and it helps to improve our overall health. The side effect that comes with the use of SR9009 are unknown because, they are yet to be tested on human. The benefits obtained from the research/study of this SR9009 on animals, resulted to its use by human for bodybuilding. The only turn-off to the use of Stenabolic is that, there is no evidence to show what the long-term benefits and side effects would be. The operation of the human body follows a circadian rhythm, with series of patterns that we subject our physical systems to, within a 24-hour period. This works in the morning and evening. A loop mechanism sustained the circadian rhythm which works according to you gene’s activity. For example, PER and CRY are triggered to turn on due to the activation of CLOCK and BMAL1 genes. The BMAL1 and CLOCK can also be turned off by PER and CRY within the 24-hour interval. SR9009 is a Rev-erba formed for the study of the circadian rhythm of the body. These Rev-erba are proteins with the ability to turn-off the BMAL1, and are there to balance the internal clock of the body. Heme group comprises of tiny compounds with iron contents, and are responsible for triggering the Rev-erba which are found all over the body. A research conducted on animals showed that, Rev-erba activity increases with the use of Stenabolic. These Rev-erba, also called agonists, are responsible for increasing the nutrients bioavailability in the body. In mice, the use of Stenabolic increases the level of active mitochondria, which leads to an improvement in the endurance levels. SR9009 injection helps improve the functionality of the heart when used on mice. Stenabolic reduced the anxiety levels on mice in a 10 day study. Using benzodiazepine gives similar effects. Using SR9009 on animals with scarred liver for 2 to 3 weeks, promotes quick tissue recovery. The ability of Stenabolic (SR9009) to activate Rev-erba means that, it can effect your sleep pattern for a period of time. When Stenabolic was injected into mice in the day, their REM were reduced with increase in energy levels. But when the SR9009 injection was administered at night during their activity period, they were not affected. From this experiment, researchers concluded that, with SR9009, humans that work, study, or travel at night may benefit from it. Using Stenabolic may help in weight reduction without affecting your diet. This was the result of a 1-week Study on mice. It also helps to reduce the cholesterol level, triglycerides, free-fatty acids, and insulin levels in artificially-induced obese mice. 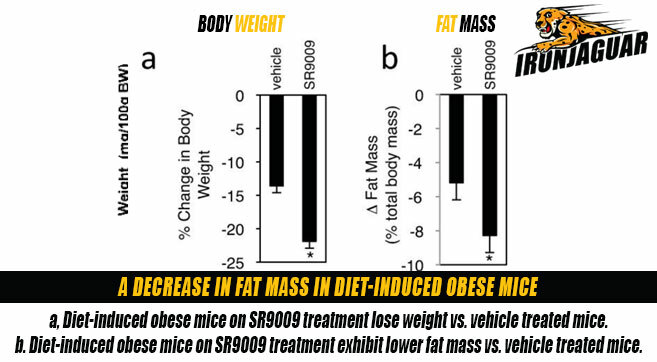 When the same research was conducted on naturally obese mice, their weight gain was halted within 12 days of administering the SR9009 injection, without affecting their insulin or glucose levels. Triglycerides and cholesterol levels were reduced when Stenabolic was given to mice for 8 to 10 days. When another study was conducted to feed genetically modified mice with high cholesterol diets, it was realised that, after 8 weeks of consumption, the triglycerides, LDL, and cholesterol levels were reduced, while the HDL cholesterol levels were not affected. Stenabolic helps reduce lung inflammation and TNF-alpha production in mice. It also inhibits the production of the molecules of inflammation in nerve cells. When genetically modified mice suspected to have hardened arteries, were given Stenabolic for 7 weeks, a reduced blood vessel lesions was the result. You can stack SR9009 with other supplements or take on its own during post cycles. For those who are interested in cutting steroid stack, 20mg of Stenabolic is suggested daily. This SR9009 can be stacked with 400mg of Primobolan weekly, and a light dose of testosterone. A good stack of Selective Androgen Receptor Modulator (SARM) is 5 to 20mg of Stenabolic to be taken daily, with 10mg of Ligandrol LGD (Anabolicum), added to 20mg of Cardarine. Also, you can take 5 to 20mg of Stenabolic daily during post cycle. It gives you a strong endurance while keeping fats off. Currently, there is no dosage for SR9009, recommended for human. In the experiment that was conducted on mice, a 100mg/kg dosage was injected into the body system. 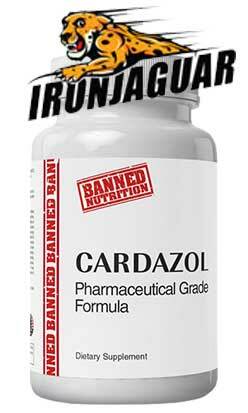 5 to 20mg of Stenabolic is ideal for humans, and users should take it 1 to 2 hours before workouts. This means that, if your workout is by 9am, then take the dose 1 to 2 hours prior to the time. If you’re not involved in any physical activity throughout the day, then using it once or twice is ideal for that day, but you have to split the dosage, and take it in the morning and evening. To achieve the best results for using Stenabolic, you need to maintain your exercises and workouts. There are no estrogenic, hormonal, or androgenic contents in SR9009, and no side effect has been reported when used according to the correct dosage. It is safe for male/female adults, and people who are overweight. 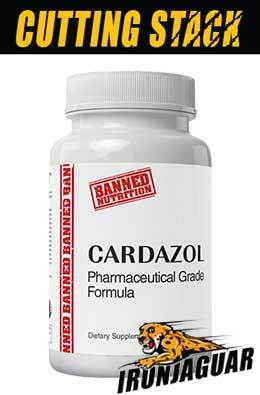 Stenabolic consumed orally, has no scientific proof to support its efficacy, so it’s side effect is not known. You can buy Stenabolic from companies that sells research chemicals, since it is yet to be approved for use by human. But, you must ensure that you purchase it from reputable and trusted sellers. Buying a high-quality Stenabolic from a reliable seller, will surely give you great benefits. Their products are accurately dosed and correct. You can also check them out. The results of the research done on Stenabolic shows that, it gives great benefits to its users. 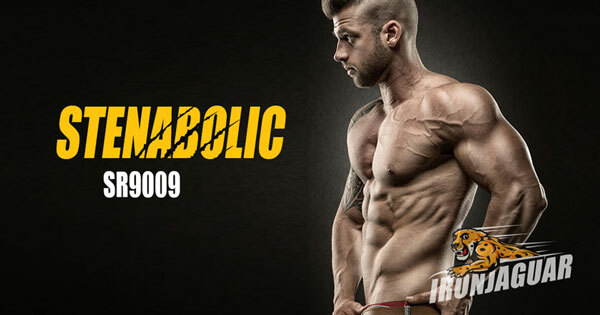 Users of this compound have testified of its effectiveness in burning stubborn fats, but all you have to know is that, Stenabolic is a new compound that still needs more research and safe trials on human, before it could be trusted completely. So, using SR9009 is at your own risk, and to avoid any unforeseen complications, make sure you use it as recommended.